If you were a top Coburn mountain today, this is what you would see. Another beautiful day in Jackman…a day to celebrate Abe Lincoln and George Washington. In their honor and to freshen your knowledge of history, I had to share this poem with you. Some people on the other day. Taverns reveled in good cheer. His Birthday in February too. For a Memorial and solemn thought. And this story comes to its end. 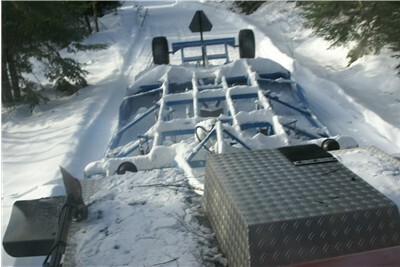 This is a picture taken from the inside one of our trail groomers. The rain yesterday has not affected our trails much at all. It is snowing again today. We had some rain this morning but it seems to be cooling off this afternoon. 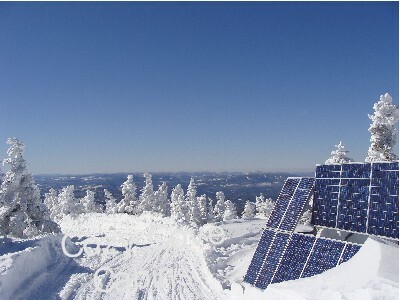 The weather forecast is just that…lower temperatures, wind and snow again tomorrow. 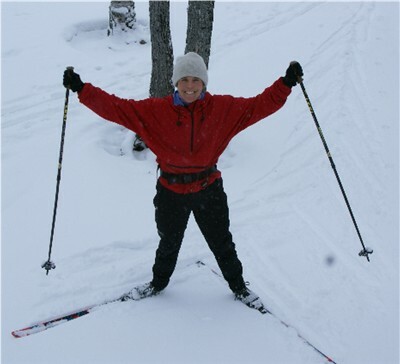 As for the trails…as of yesterday, reports are that the trails are excellent ❗ Most told us that some of the trails around the Forks though have not been groomed. 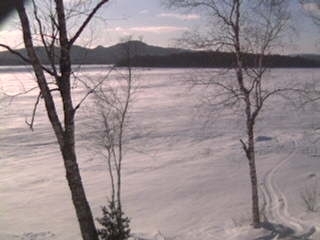 The Long Pond Loop was fun and Coburn Mountain was a challenge but good. Otherwise, they recommend staying north of town. A popular destination this year is to ride to the “Old Trains” off Eagle Lake. It is about a 300 mile round trip. SO we will see you soon! THINK SNOW! As riding should be good through March. Yes it is true. 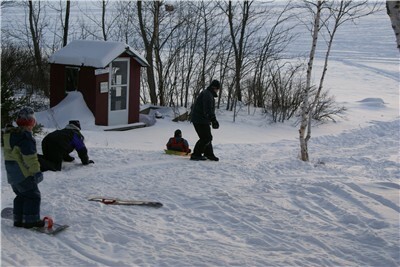 There is so much more to do in Jackman in the winter then snowmobile or ice fish. 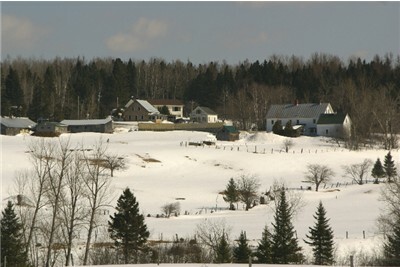 Pull out those cross country skis and make tracks. Did you get a new snowboard this year? What better way to learn without paying extra at a ski resort? Bring the kids up and just play outside. 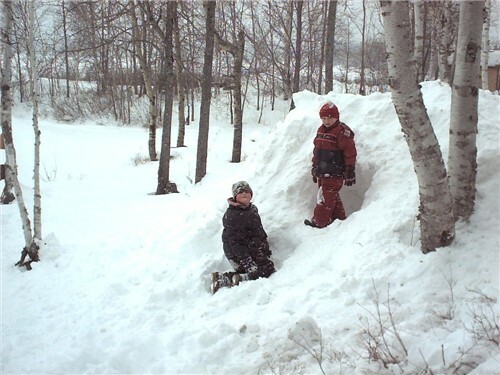 Remember when we were kids…what fun it was to build an igloo, or throw snowballs. the glistening of snow as the sun shines on it, or simply, enjoy a game of monopoly with the family or your friends in a warm cabin. 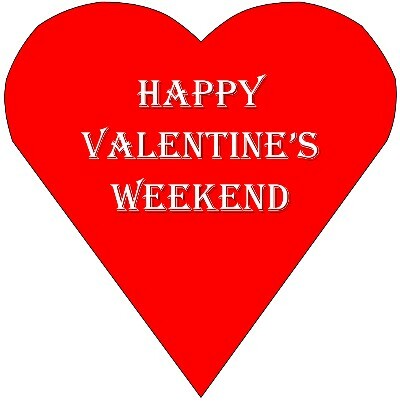 We hope that you and your special valentine are spending a wonderful weekend together. Rob and friends came for a weekend of Ice Fishing and had a great time! 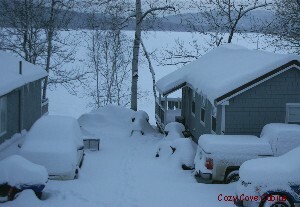 We woke to over a foot of fresh fluffy snow in Jackman this morning. And OH MY GOODNESS! It is simply beautiful today. 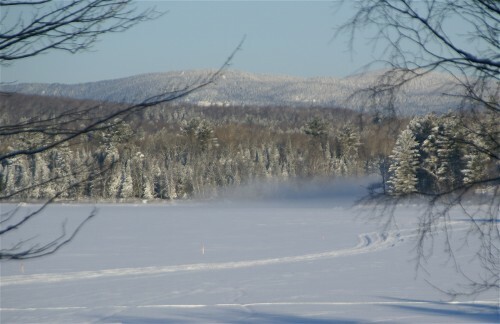 Although I did not capture what I saw this morning on the above image, let me tell you, it was magical: the sun was hitting the fresh white snow on the pond and glistening off the ice shacks, with a light mist hovering over the river… all with a blue sky background and white in the trees and on the mountains. I wish you were here to really see it.